Longer battery life. 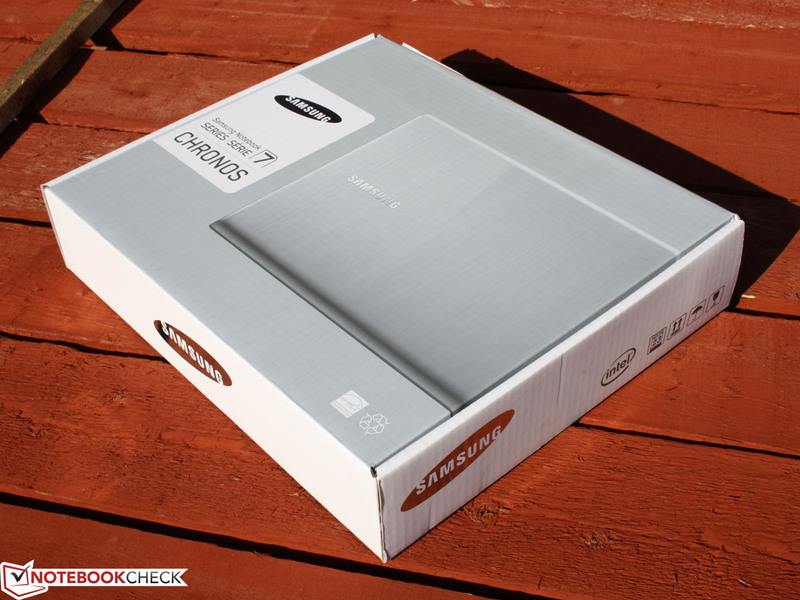 The Ivy Bridge update from Samsung's handy 14-inch Chronos perfected the battery life. You will also learn if the new processor and the new GeForce GT630M graphics pay off for the buyer. 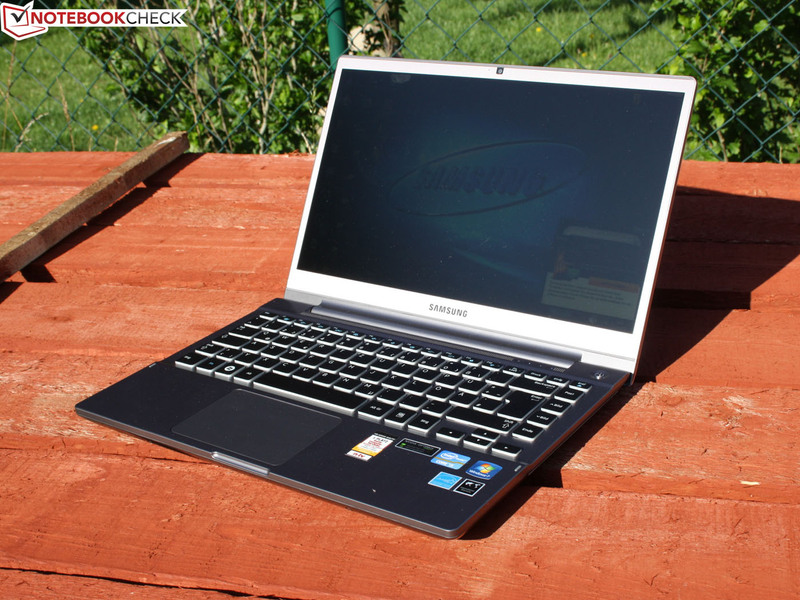 Samsung 700Z3C-S01DE: Now with Nvidia's Optimus graphics-switch and dual-core Intel Ivy Bridge. 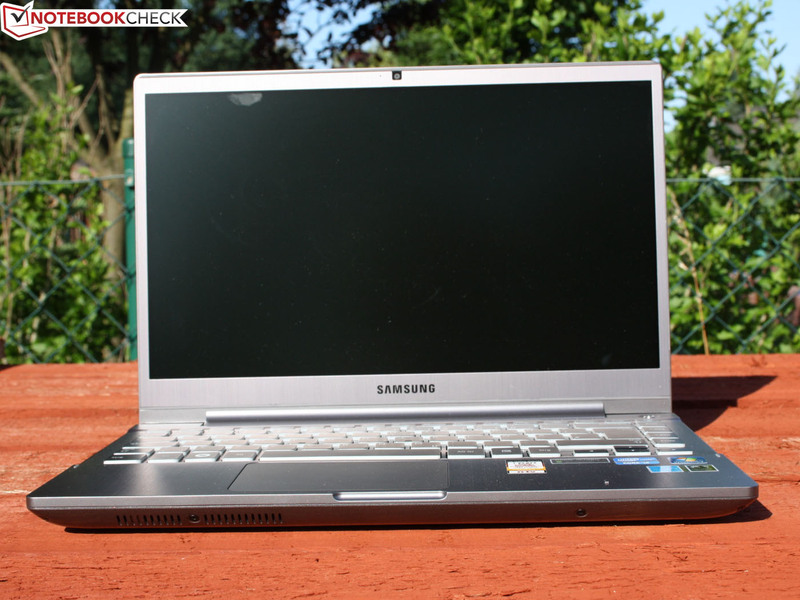 At IFA 2011, the Samsung Chrome Books were first introduced. It was designed as an elite all-rounder. High-priced and well made, but again not as expensive as the 9 series notebooks and sub notebooks. After the 15-incher, we received the 14-inch Series 7 700Z3A in January 2012. 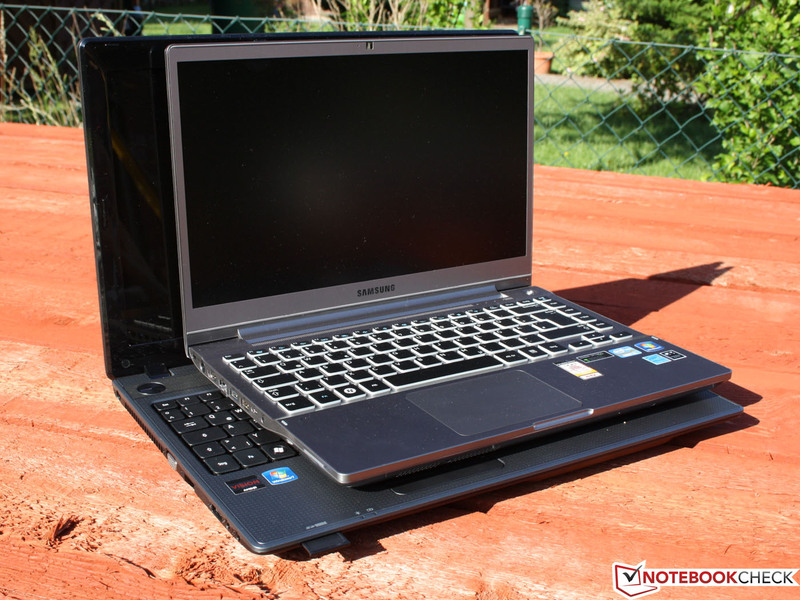 Equipped with the last-generation Sandy Bridge CPU and an entry-level graphics (ATI Radeon HD 6490M), the performance was good. Even without having an SSD drive. Anyone interested in the 14-incher, has two choices: buy the old model 700Z3A at a favorable price or have the processor and graphics performance (now Ivy Bridge / GeForce GT 630M) improved significantly, so that a 700Z3C is worth the money. 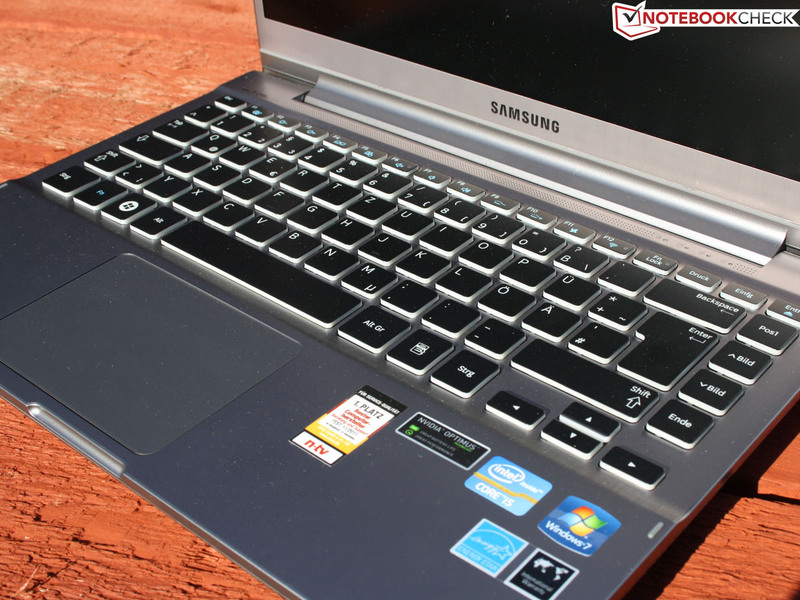 The following points are identical to the Chronos predecessor 700Z3A (Sandy Bridge), which is why we refer to the Review Samsung Series 7 700Z3A: case, interfaces, features, input devices and speakers. 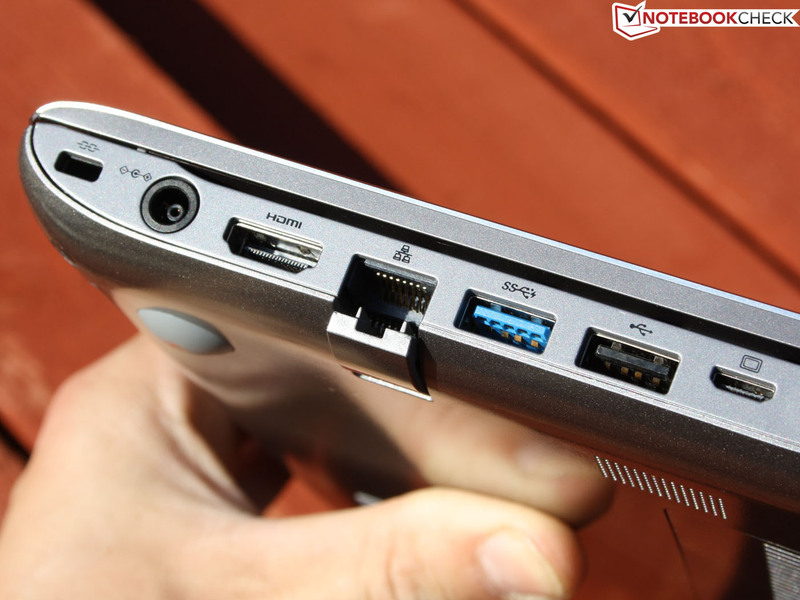 Too bad the HDMI port is still sitting very close to the power supply. Most DVI-HDMI adapters will not be able to be used here. But DVI cabling is still commonly used. Also, the D-sub VGA dongle for the mini-VGA port is not included unfortunately. 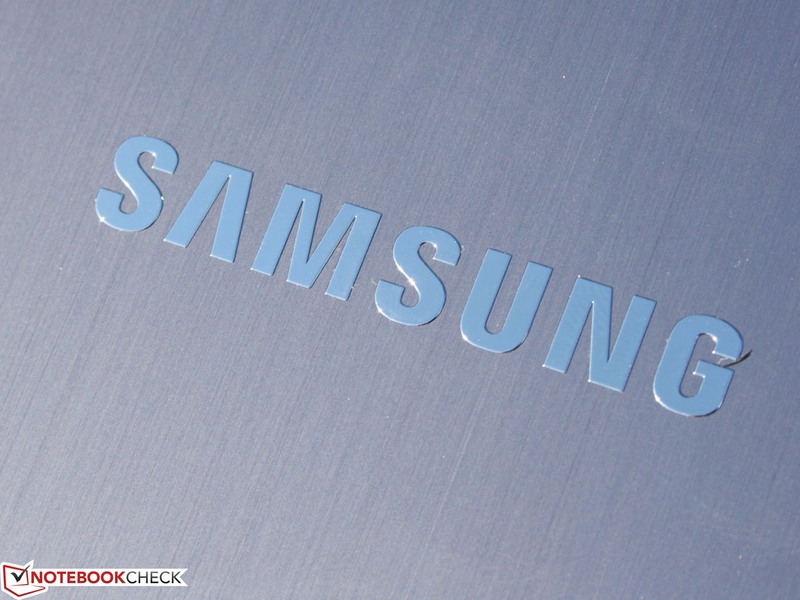 Instead of a wireless adapter from Broadcom, Samsung has opted for Intel's Centrino Advanced N-6235 module. This also brings the right Bluetooth 4.0 + High Speed ​​Adapter (predecessor Broadcom BT 3.0) of the same manufacturer. 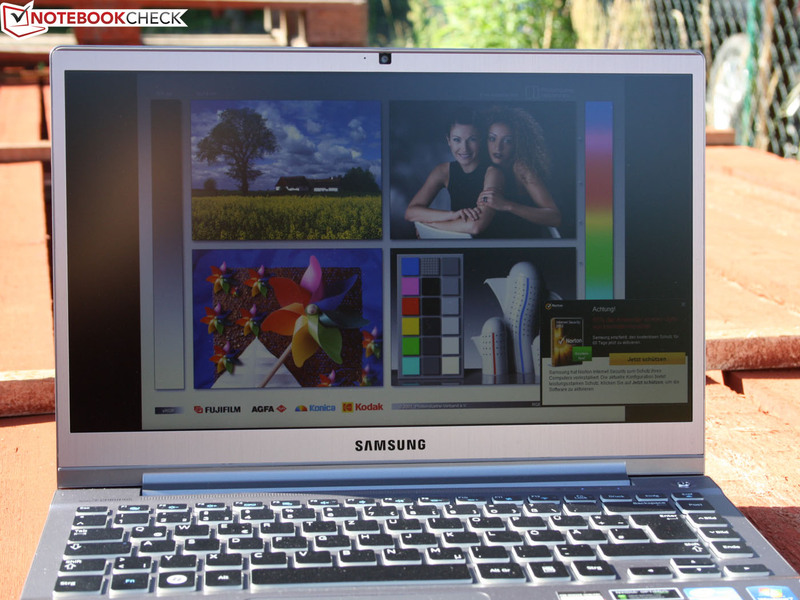 Samsung uses a 1600x900 pixels panel (HD+) in its 14-inch Chronos. This high resolution (but again not too high) seems to be just in fashion. 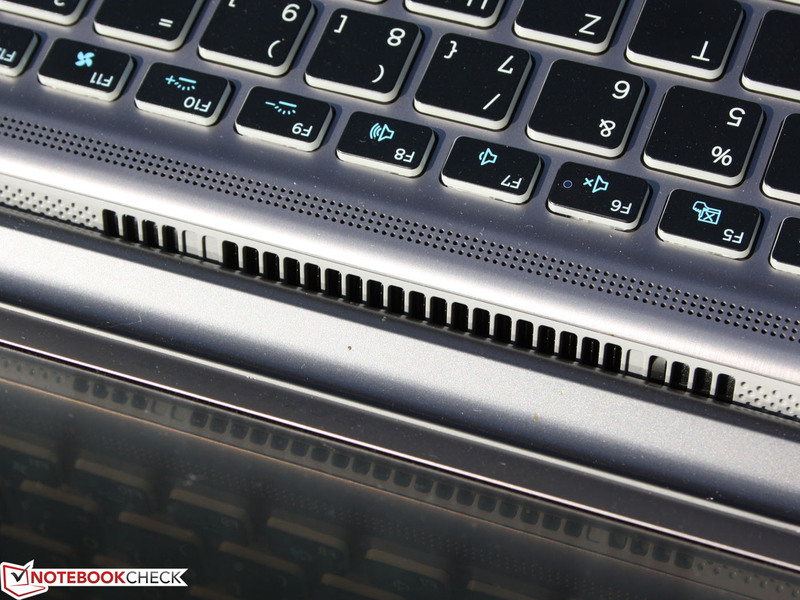 The recently tested 15-inch Series 9 900X4C had the same resolution. 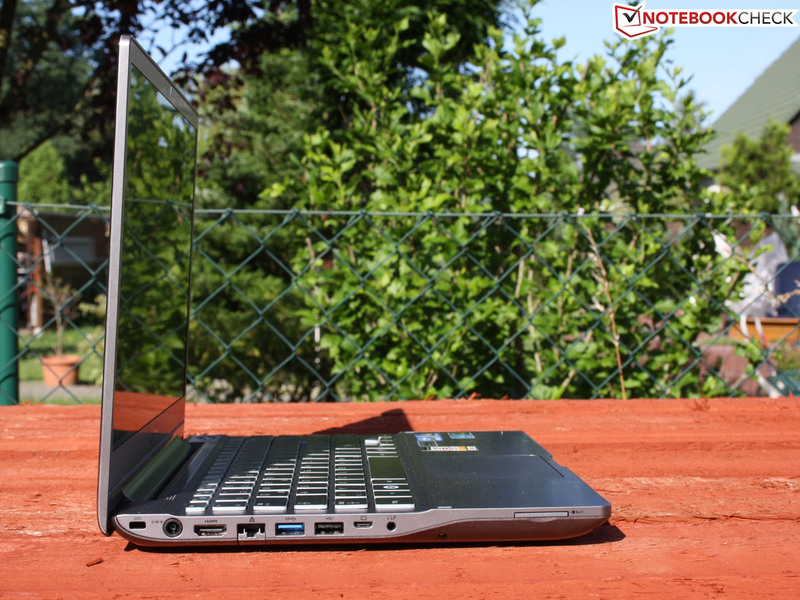 The glossy surface and the bright LED backlight is an advantage for outdoor use. At home, the image output can be displayed externally by HDMI or VGA output (mini-VGA, via a special adapter from Samsung). Unfortunately, no adapter is in the box. The panel is the Seiko Epson SEC0006. In the previous 700Z3A it was not recognizable, so we do not want to speak with certainty. 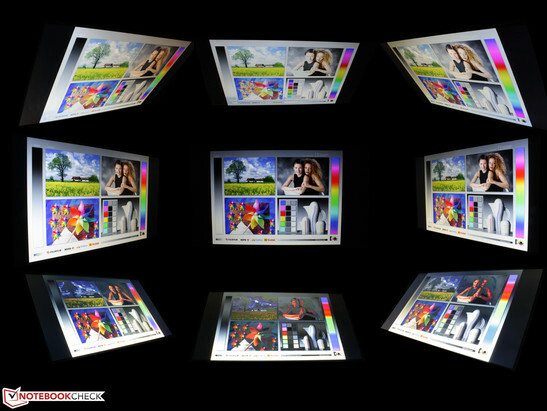 The measured values ​​and the luminance distribution look so similar that we believe it is the same panel. Samsung offers no alternative options for the screen, neither in the resolution nor the type (TN / IPS). 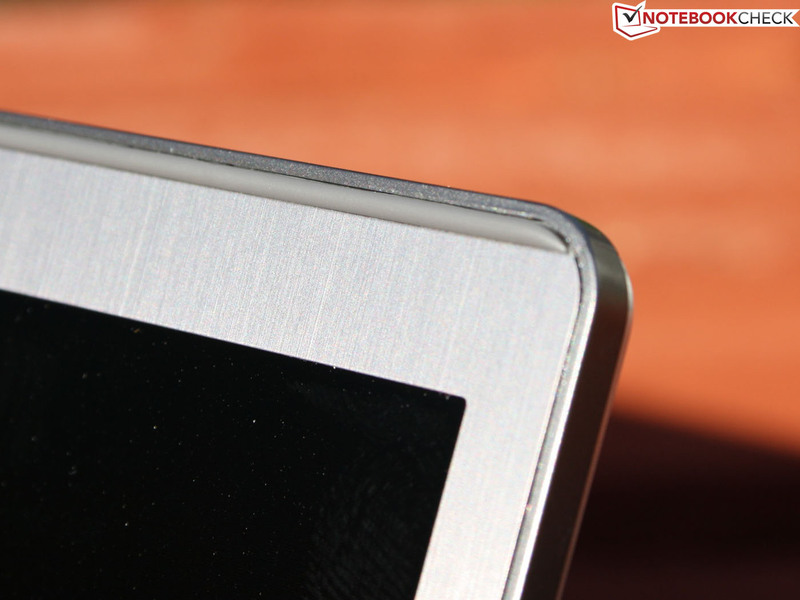 The luminance measures a decent 327 cd/m² on average, which is rare in the world of notebooks. The 700Z3A measured 232 cd/m ² in the centre. Notebook panels that bright are few and far between. The predecessor 900X4B was even better with 361 cd/m² (408 cd/m² maximum). There are few differences in contrast, though. The panel shows a deep black picture with a visible grey shimmer. However, that Samsung is able to build very good IPS panels, was shown by the Series 7 Gamer 700G7A. The Chronos misses the color ranges Adobe RGB and sRGB, which are important for professional image processing. This was already the case with the predecessor, whose color range is identical to the test device (Image 3, direct comparison). 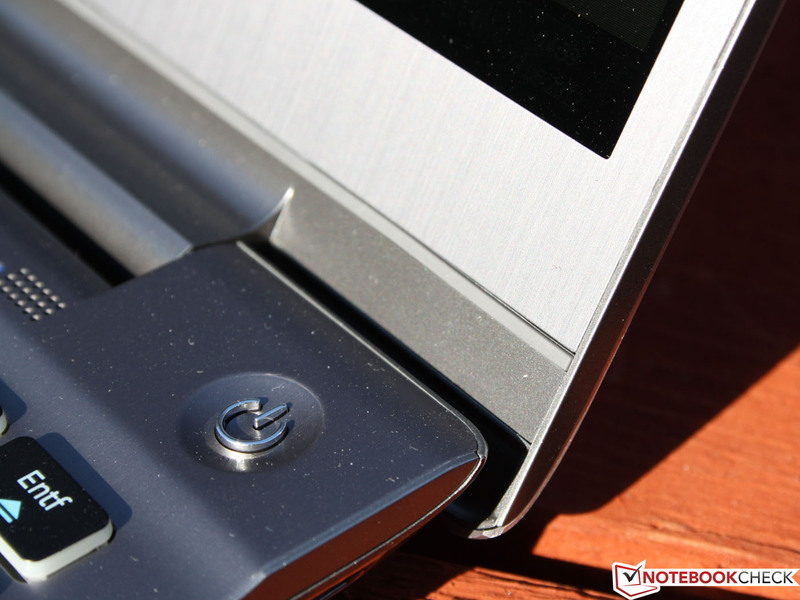 The Vaio SV-S13 and the Asus Zenbook UX31A show what an extended color range with panels high in contrast looks like. 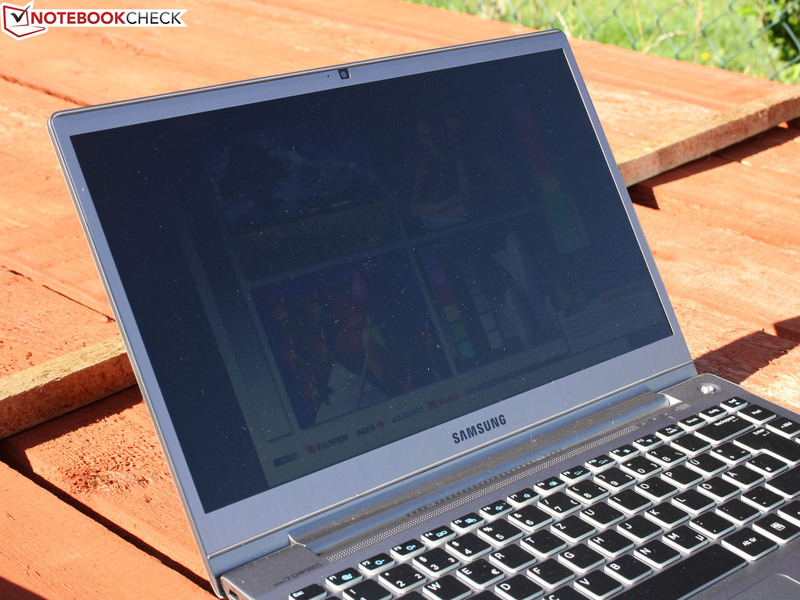 Using this 14-inch device outdoors is fun. 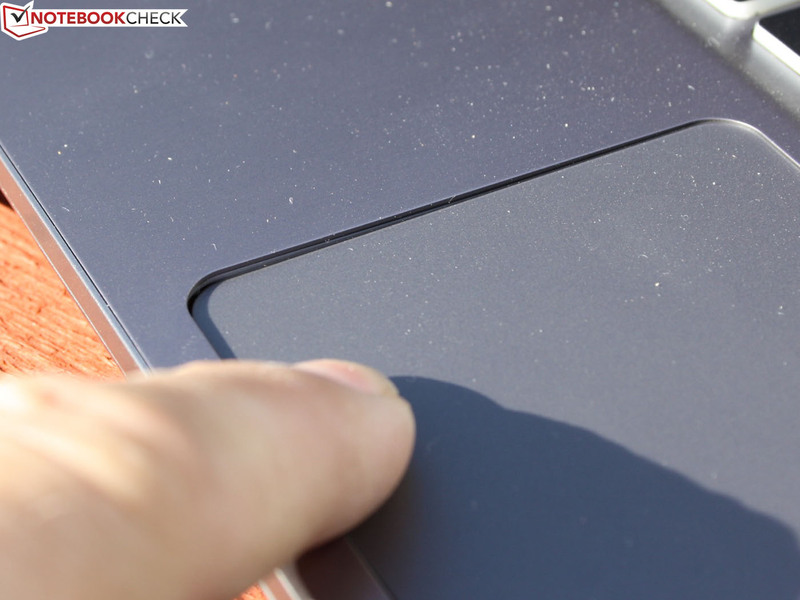 It is one of the very few notebooks which feature a fulminant brightness next to anti-reflective coating. The brightness sensor (next to Power-On, Status LEDs) provides the adequate background illumination depending on the brightness of the surroundings. The sensor was deactivated for pictures and measurements taken outdoors. The TN panel still has small viewing angles; nothing has been improved here. Inversions of the reference image appear more (vertically) or less quickly (horizontally). 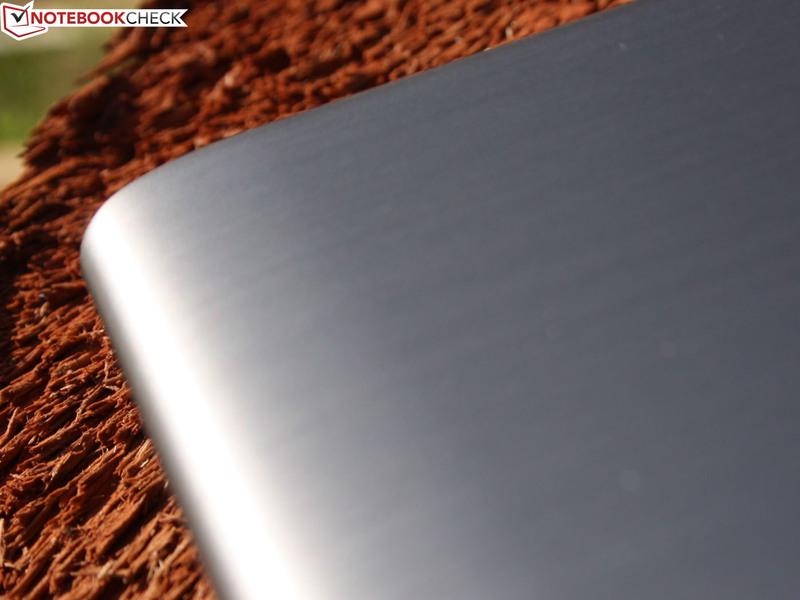 The MacBook Air 13 Mid 2012 or the Asus Zenbook Prime UX31A Ultrabook proves that one can do better than that. The panels of these two sub-notebooks can be viewed from all angles with virtually no color distortions or obscurations. This area should be improved by Samsung in its premium segment, especially since the manufacturer has an in-house panel production. 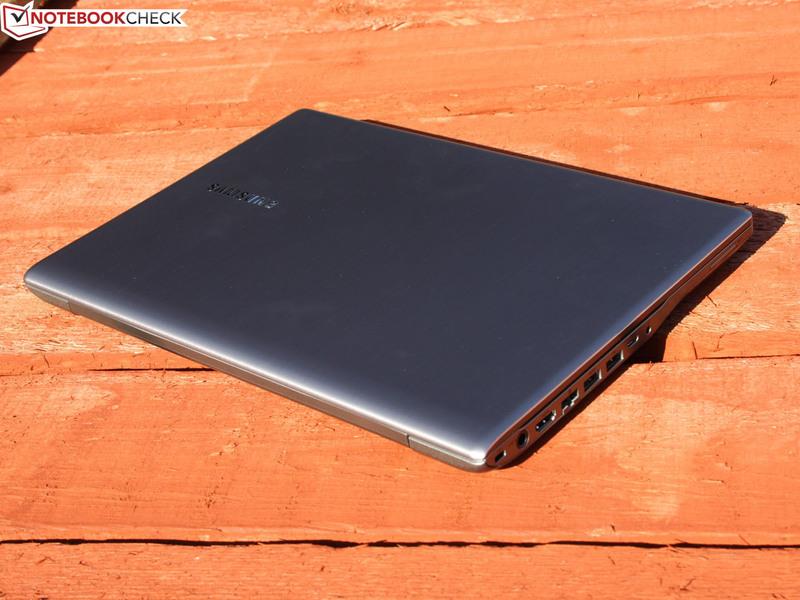 The 700Z3C is so far only available with Core i5-3210M Dual Core Processor. The Ivy Bridge CPU clocks with 2 x 2.50 GHz and can get up to 3.1 GHz in turbo boost. The latter, however, can only be done with a very efficient cooling system, which is not common with small and flat notebooks. Anyway, only a single core computing load can be done with such a high clock; however, this is extremely rare with a multitasking operating system. More information about performance can be found in the following paragraph. The cheaper variant 700Z3C-S03DE has a 750 GB hard drive instead of a 1000 GB HDD (S01DE). 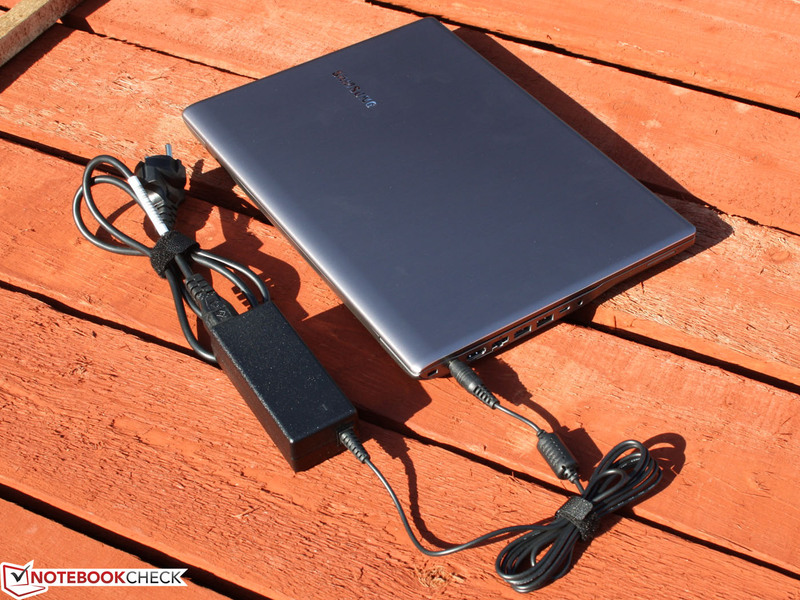 Our model operates with Seagate Momentus SpinPoint M8 ST1000LM024 with 1000 GB. This means a lot of space for games, movies or pictures. In order to profit from the advantages of SSD technology, at least during the startup phase and the loading of frequently used files, a SanDisk iSSD P4 with 8 GB is used. This reading cache (Samsung: ExpressCache) buffers frequently used files and is not accessible to the user. Beware! Some shops or price comparison websites list the S01DE without optical drive. This is wrong. Samsung has built in a Slot-In drive without drawer (DVD multi writer). 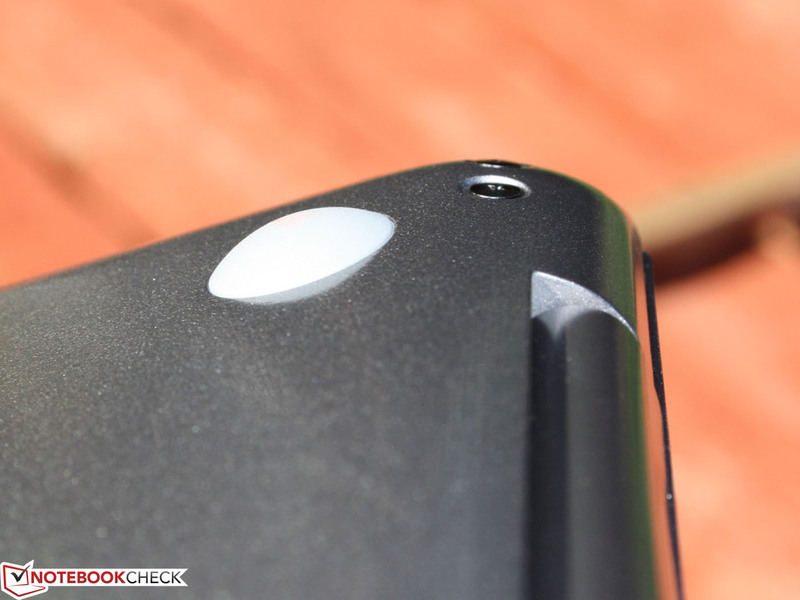 This results in a higher stability of the edge of the chassis. The GeForce GT 630M with GDDR5 storage (1024 MB) replaces the Radeon HD 6490M of the predecessor. The user can thus enjoy the benefits of the virtually invisible Optimus technology to switch between Intel HD Graphics 4000 and GeForce. AMDs switchable graphics technology used to be vulnerable in practical use and often required user intervention. First, we compare the i5-3210M (2.5-3.1 GHz) with the i5-2430M (2.4-2.8 GHz). Buyers should not be guided by the potentially higher turbo clock, as even a single core Cinebench test did not manage to raise the core clock to above 2.9 GHz. A Cinebench R11.5 multi test finishes 7% faster with Ivy Bridge (2.86 points) than with 2430M (2.67). The 3210M is therefore on the same level as an i5 2520M (2.5 GHz). 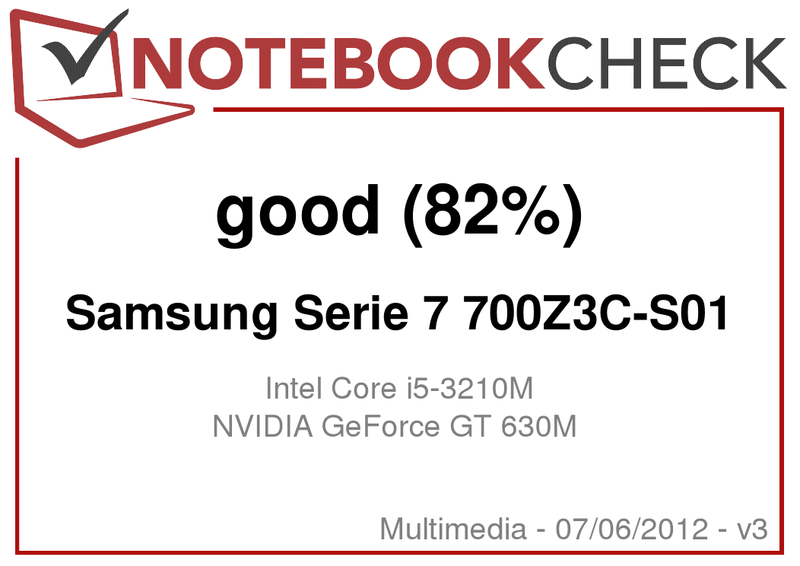 The fan system is acceptable; at least the turbo boost processor reaches almost the same scores as the same model in the 17-inch device MSI GE70-i547W7H. The clock during Cinebench multi test was constantly at 2.9 GHz. There was no trace of throttling. The 700Z3C completes the single core test CB10 Rendering Single 64Bit with 5347 points. The 2430M was 17% slower in the first test device (4425 points). 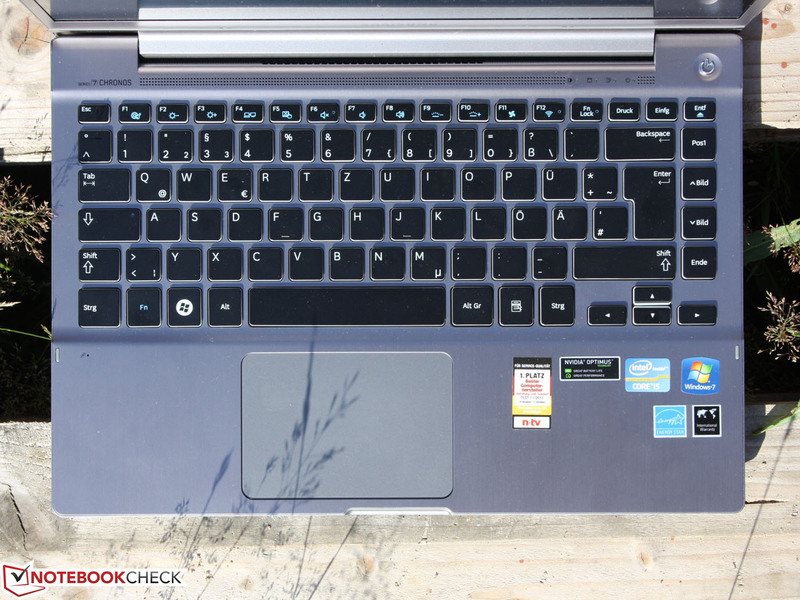 The CPU makes good use of its full potential; it is even 3% faster in this test than in the MSI GE70. This is remarkable, because in the predecessor 700Z3A, the i5-2430M misses its previously reached scores by up to 15%. The performance enhancement of the new Chronos, which on the whole is negligible, becomes more important in this light. The PCMark 7 assesses the system performance, evaluates all components and calculates a total score. Just like the Windows performance index (5.9), the Futuremark test reveals the hard drive as brake shoe. 1854 points in the HDD sub score can easily be topped by any SDD system (4000 points and more): e. g. by the sub notebooks Asus ZenBook Prime UX31A (+183%) or the Apple MacBook Air 13-inch 2012-06 MD231LL/A (+124%). Surprisingly, the predecessor 700Z3A was 44% (HDD score) faster, with the total score 100% identical. The reason is that the Seagate Momentus SpinPoint M8 ST1000LM024 is slightly slower than the previously built-in Samsung SpinPoint M8 HN-M101MBB when reading/writing small, scattered files. 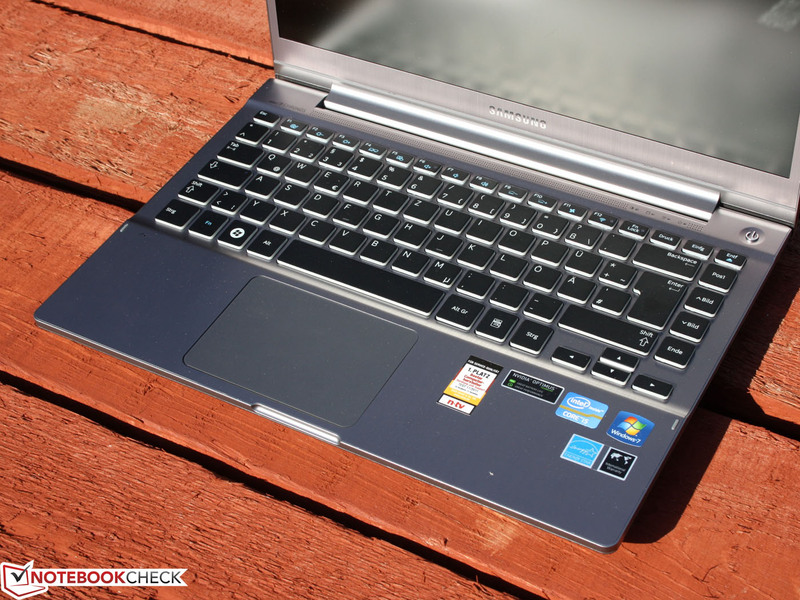 The older PCMark Vantage reaches 7483 points and outdoes the predecessor by 16%. 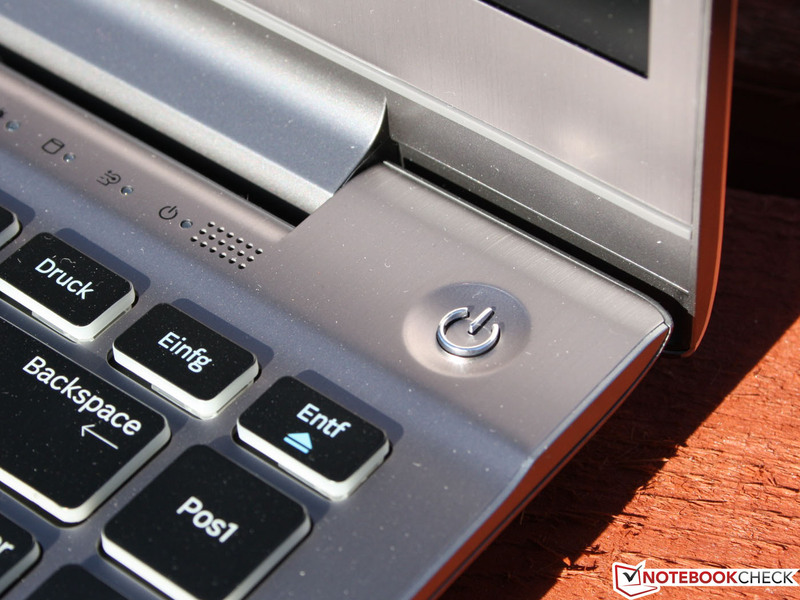 However, much more is possible, even with rotating HDD, as can be seen with the Asus N76VZ-V2G-T1011V (17-inch; +22%) with the same Momentus Spinpoint HDD. However, it also features an Ivy Bridge quad core. To make a long story short: the differences in performance is a minor complaint. Those who are interested in a cheap offer of the old Series 7 version should not judge by the system performance. 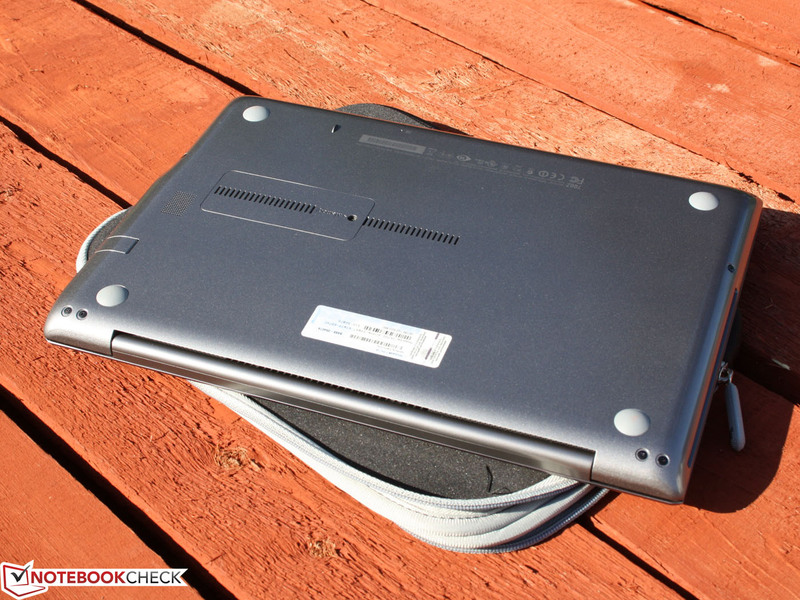 In practical use, this laptop is fast, starts up quickly, and loads programs in a jiffy. 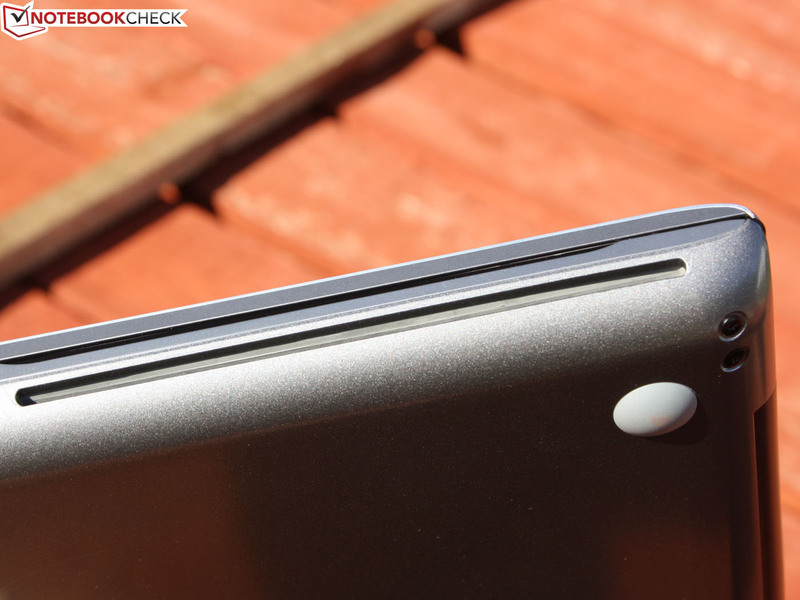 This fact is due to the SanDisk iSSD P4 8 GB (ExpressCache), which was already built in the first model. Users have no access to the flash storage, which is connected as mSATA module. Samsung only allows a deactivation or reset of the cache. HD Tune, however, is available for access and testing. While the normal HDD reads with 83 MB/s, the iSSD performs at 122 MB/s. For flash storage, this is a low score, as becomes clear with Intel's SSD 520 Series (376 MB/s) or Samsung SSD PM830 (332 MB/s). The SanDisk SSD P4 was used as a 64 GB Version in the Acer TravelMate TimelineX 8481TG-2464G38nkk, but with 112 MB/s was very slow as well. The GeForce GPU is in any case convenient; it was not necessary at any time to go into the Nvidia control panel to manually select the mode "High Performance GPU". 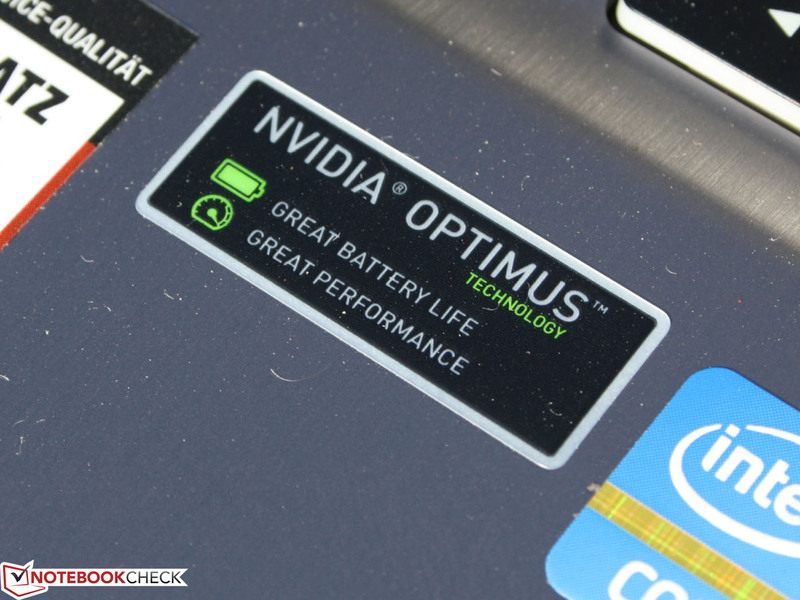 All battery tests were run in Optimus automatic mode. The 3DMark 2006 scores 5.476 points, which is too little for a GT 630M. 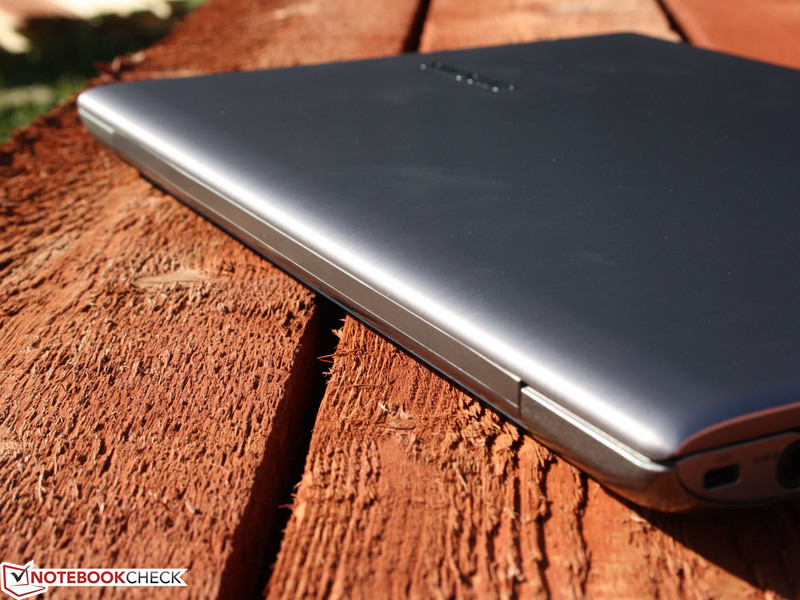 Together with an i5 dual core, it should score at least 8500 points. In 3DMark 11, it reaches 1082 performance points. The Radeon HD 6490M of the 700Z3A was slower by 37%. The common level of a GT 630M + Core i5 is reached (e. g. Medion Akoya P6633). Unigine's Heaven renders on average 10 FPS. The older 700Z3A could not be tested with this, but the HD 6490M in Apple MacBook Pro 15-inch 2011-02 MC721LL/A with 6.7 FPS is an example of a worse score. Altogether, the GT 630M seems to be the stronger graphics card. So how does it go with games? Mass Effect 3 runs smoothly with 42 FPS in the highest settings. There is no comparison value for the HD 6490M. It is the best value which a GT 630M was able to achieve in these settings. The Medion Akoya P6633 (MD97958) managed 40 FPS. The older Risen does not always run smoothly in high settings. The HD 6490M is slower by 32% (approx. 18 FPS), though. StarCraft 2 runs without problems with 35 FPS under high settings. The Radeon HD 6490M reaches 22 FPS at best. Anno 2070 only runs smoothly in medium details (32 FPS). The 700Z3A with HD 6490M was worse with 23 FPS. The result is a typical score for the built-in GeForce. The last game played was Battlefield: Bad Company 2. In the high settings, 33 FPS is feasible, which is impossible for the HD 6490M with ~20 FPS. With regard to games, the GeForce GT 630M is better than the HD 6490M. Those who play games every now and again should go for the 700Z3C. Ventilation underneath the hinge. Here, the case gets hot. This 14-inch device is ideal when it comes to noise, at least as long as it does not have to do a lot. In idle mode and during small load, the fan is turned off or at the bottom level with 33.1 dB(A). The Silent mode is significant here. As long as it is active, the fan is turned off. Without Silent Mode, the fan is constantly rotating. Users who like to put the processor under full load will experience a volume of up to 40 dB(A) (@Cinebench R11.5, 3DMark2006, stress test). Stress test or a slightly lower load with 3DMark2006 (or with games) doesn't make a difference with regard to noise. In all cases, the highest noise of 40 dB(A) will be experienced. Compared to its predecessor, the volume has slightly decreased in idle mode; under load, however, it has remained the same. Temperature development can be seen as critical; on the whole it remains acceptable taking into account the performance and the small form factor. 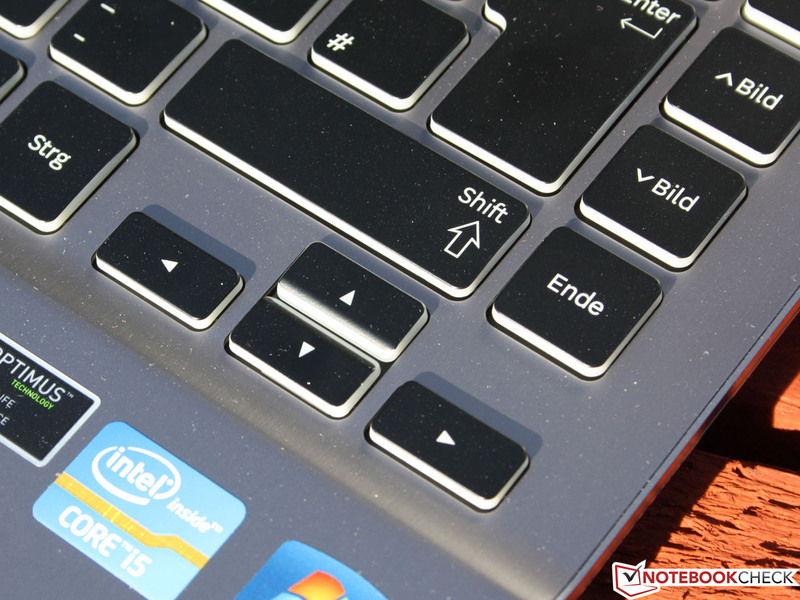 In idle mode and during office use, some areas get up to 35 °C. Under load, the temperature of the surplus waste heat increases quite a bit, particularly next to the hinge, which is close to the grille. The device does not feature a lateral opening, as would be expected, but a hidden one underneath the hinge, which means that the latter warms up considerably as it is constantly surrounded by hot waste air. 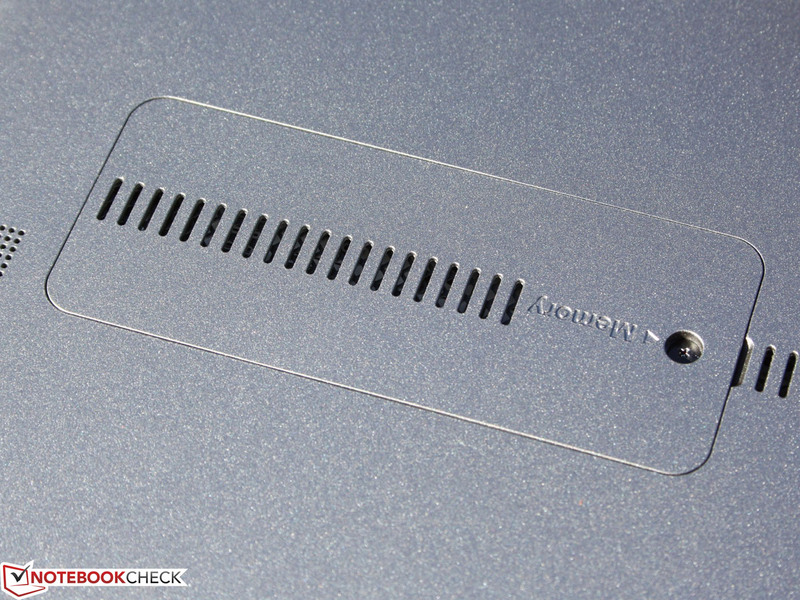 The highest temperature of 47 °C was measured slightly above the keyboard (perforated speaker strip). The highest waste heat temperature during the stress test was 56 °C. 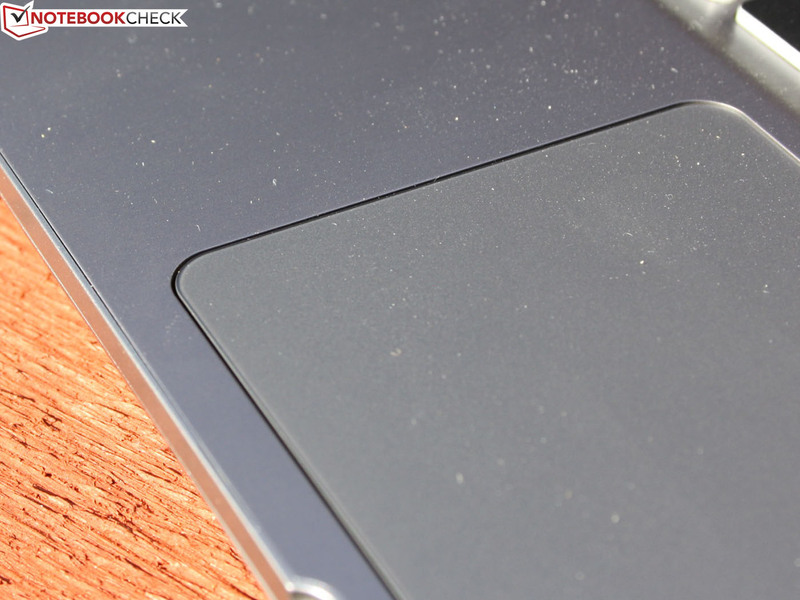 Importantly, the wrist rest remains cool at all times and never goes beyond 30 °C. During a stress test (Prime95+Furmark) for several hours, the CPU clock stabilizes between 2.2 and 2.5 GHz (normal clock 2.5 GHz). Therefore, there is a slight degree of CPU throttling, which only occurs if there is a graphics load at the same time, like with Furmark in our stress test. Without the parallel GPU load, the clock is constant at around 2.9 GHz with Prime95 test or Cinebench R11.5 Multi/solo test (CPU load). The turbo range up to 3.1 GHz is not fully reached. 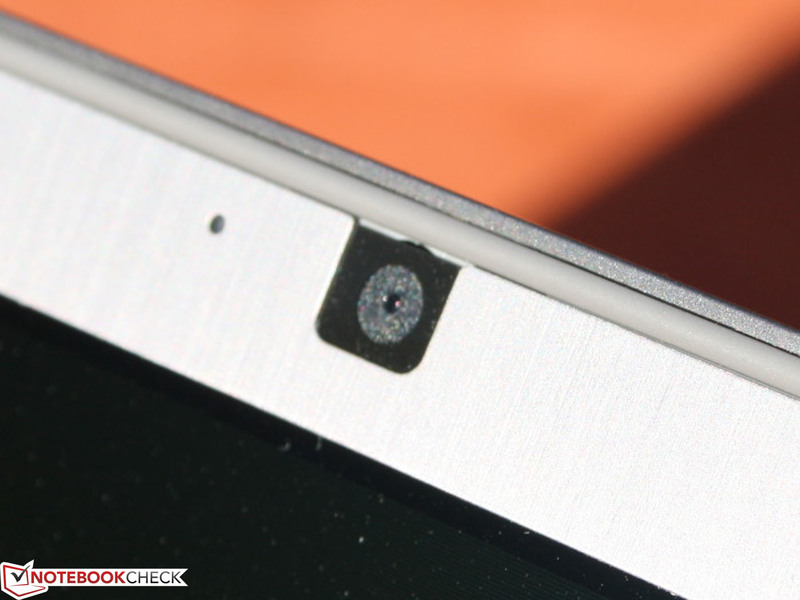 However, this is a common problem due to the design of flat devices. The assessment mentioned above showed the 3210M processor on a level which is typical for it. After the stress test, Battlefield: Bad Company 2 was played: the game had no drop in performance. The user can therefore assume a constant performance, even under stress. 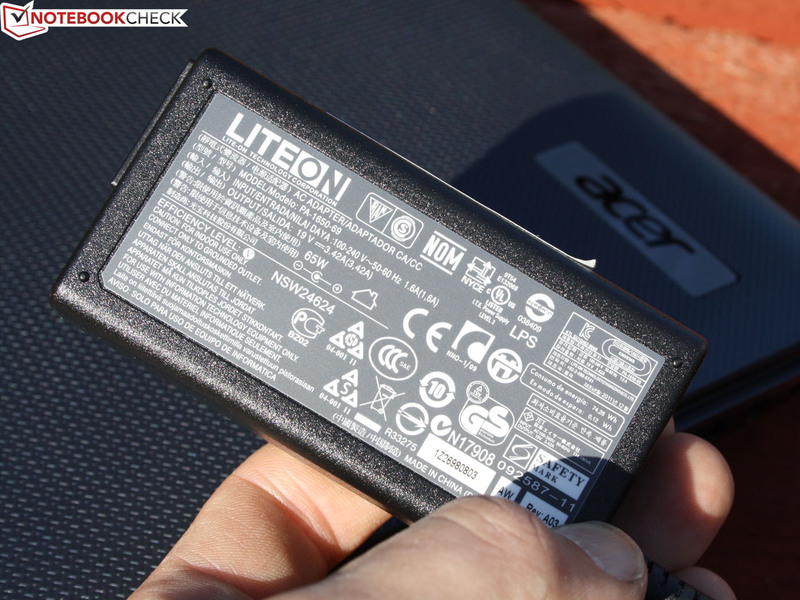 A long battery life indicates economical power consumption. For the predecessor 700Z3A, 12 to 16 watts in idle mode was enough; depending on the energy mode, the brightness and the radio modules. Ivy Bridge is better than this thanks to die shrink: 8.8 to 16 watts. Due to the changed graphics card, the load consumption is not comparable any more, though on the whole it has remained the same with 53 to 60 watts. 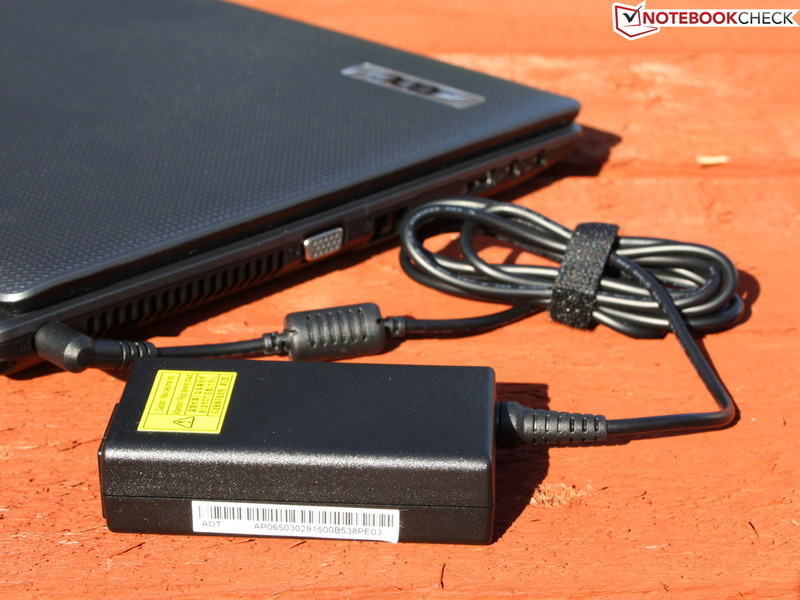 The 60 watts power supply unit is just sufficient for this purpose. The predecessor had a 65 watts power supply unit. The test device is very economical, but devices with ULV processors can do even better. 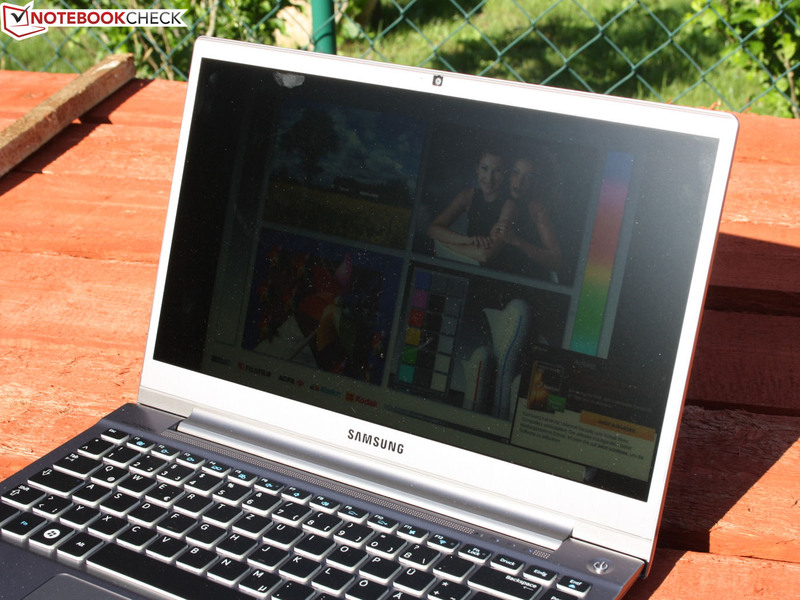 For instance, 15-inch Samsung 900X4C with i5 3317U only needs 7 to 12 watts (IGP graphics only). 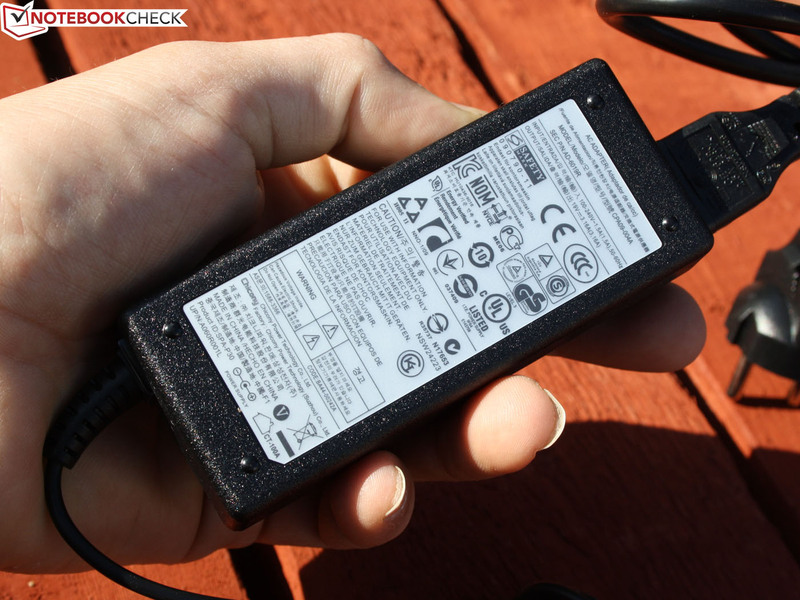 However, quad core meteors like the Asus N76VZ-V2G-T1011V with GT 650M, are real energy wasters with 14 to 24 watts. Battery life is fantastic and better than that of its predecessor. In idle mode, the battery life of the 700Z3C is a whopping 9:27 h (7003A 7:17 h). The more relevant WLAN test has to stop after 6:14 h (700Z3A 5:57 h). A DVD can be played for 5:41 h, while the predecessor was only able to do this for 3:05 h. Even under full load, the Ivy Bridge Model is ahead: 2:26 h beat 1:38 h.
The notebook owes its long battery life to a 65 Wh lithium-polymer battery, which is firmly built in (4.400 mAh, 8 cells). 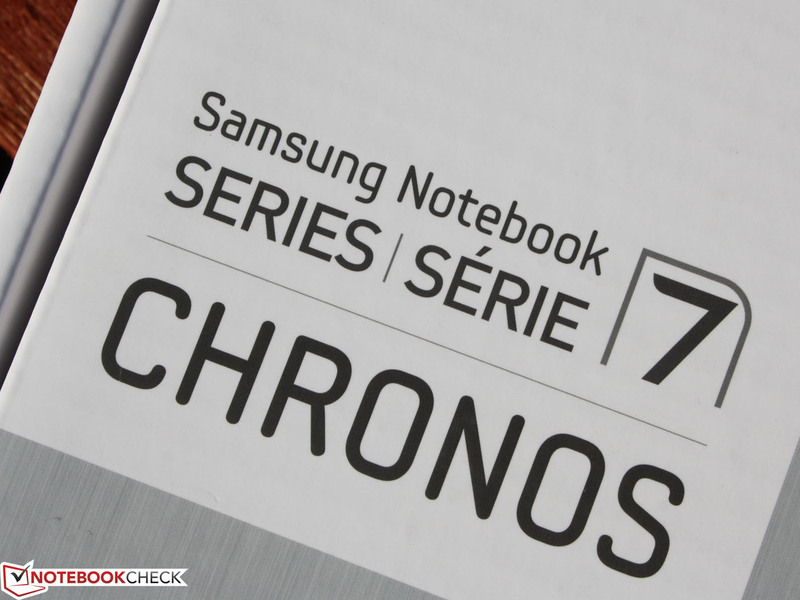 Charging a completely empty battery is very quick, taking into account the long life: with the device turned on, it only takes 2:19 h.
Samsung has upgraded its Series 7 Chronos 14-inch 700Z3C-S01DE with state-of-the-art technology. By and large, the slightly increased application and processor performance is negligible. Worth considering is the significantly increased gaming performance (GT 630M) as well as the longer battery life, compared to the less expensive predecessor 700Z3A. Equally noteworthy is the stable computing power in turbo mode under full load. 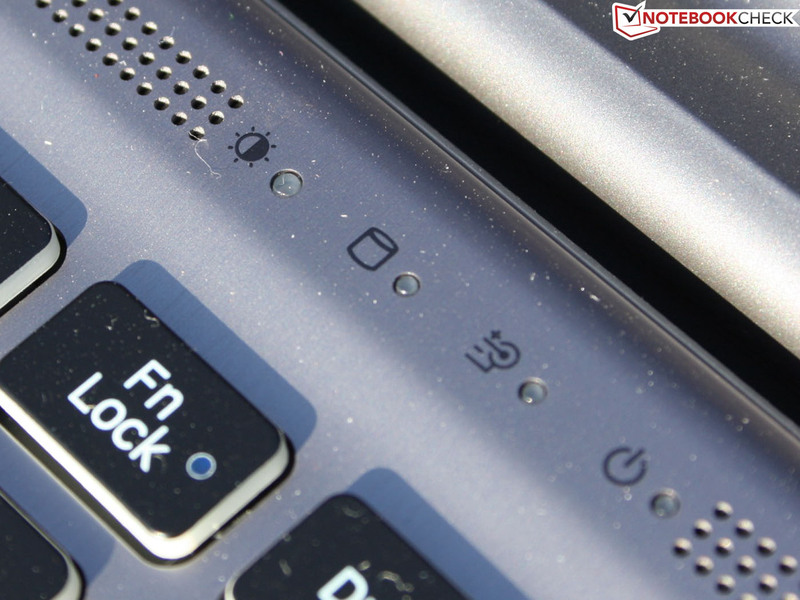 Processor and graphics card live up to the possibilities of a notebook. Even though the panel has not been optimized, the high brightness and the anti-reflective coating provide a very good user experience outdoors. Good gaming performance and still long battery life. More colour for the panel. Already with slightly different viewing angles, there are annying ghost images. 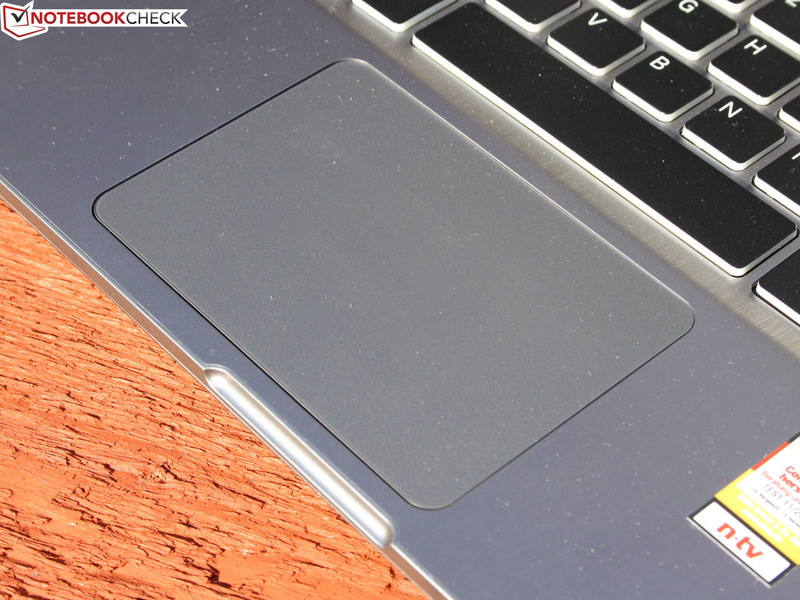 Good craftsmanship goes hand in hand with perfect input devices. There should be more notebooks like this.